Established in July 2011 the UK Security Directory has quickly become the number 1 website in it’s field outranking all of it’s longer existing competitors on Google for key search queries. Part of the reason for this success is that our directory pages are manually administered. The only automated systems we use are those that allow you to submit your security company for review, and once submitted, every single company is reviewed by a real person to check it’s relevancy to the UK Security Industry. With over 20,000 page views per month, and still growing, can you afford not to advertise with the UK Security Directory? 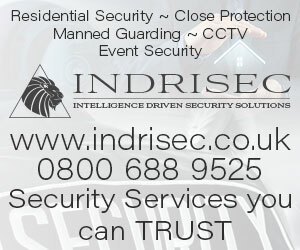 At the UK Security Directory we offer 3 ways of adding your company to our directory. Our basic listing is FREE to use and allows you to add your basic company details, including your business address and contact details. Your free directory listing will run forever and can be upgraded at any time. Can take up to 30 days to approve. Our Silver listing allows all the same features as our basic listing, but also allows you to add your website address to your listing, as well as increasing your character count for your business description, and allows you to add as many service categories as you wish. The Silver Listing also allows you to utilise the Google maps feature meaning customers can more easily fund your security business. Costing just £70 per year, with extra categories charged at £5 per category, the Silver Listing is the most versatile that we offer. Our featured listing allows the same features as both the Basic and Silver listings with the added bonus of appearing at the very top of our directory results, as well as having a "do follow" backlink for SEO purposes alongside an unlimited amount of service categories. We now receive in excess of 20,000 page views per month and that number is steadily climbing. We are now, and have been for some time, ranked #1 for the search term "security directory" on Google. We are now, and have been for some time, rank #1 for the search term "uk security directory" on Google. We are currently ranked #1 on Google for the search term "Home Security Directory". We are currently ranked #4 for the search term "List Security Companies UK" on Google. To find out more about our advertising options visit our Advertising page.